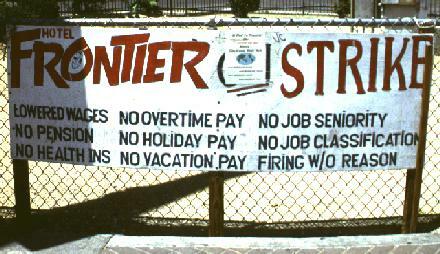 550 workers at the Frontier Hotel and Casino in Las Vegas go on strike over wages and benefits. The longest hotel strike in U.S. history lasted 6 years, 4 months, and 10 days and when it was over, the 9th Circuit Court of Appeals awarded the workers $3.5 million in back pay and pension credits. The Farm Labor Organizing Committee signs a collective bargaining agreement with Mt. 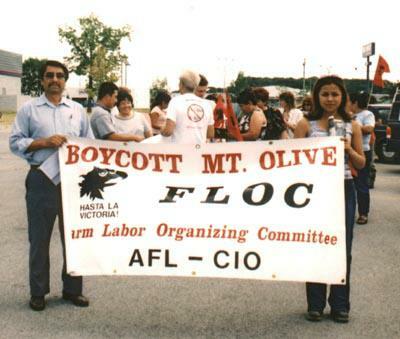 Olive Pickle Company and its growers, ending a successful five-year long nationwide boycott. The contract – which covered workers on more than 1,000 North Carolina farms who had previously been paid piece rate and worked and lived under deplorable conditions – marked the first time a U.S. labor union represented guest workers. 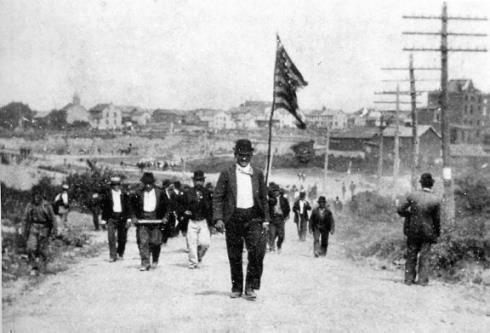 Striking immigrant anthracite coal miners raise an American flag and march on the still-open mine in Lattimer, Pennsylvania. They were met by the local sheriff and Coal and Iron Police deputies. 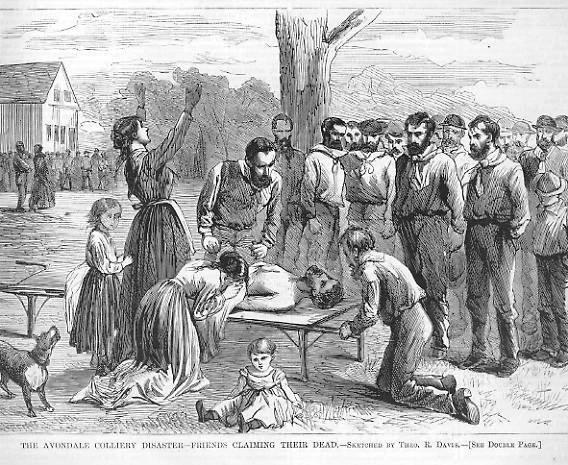 The sheriff ordered the workers to disperse and the deputies opened fire, killing 19 and wounding as many as 49 others. All those killed in the Lattimer Massacre were shot in the back; the sheriff and 73 deputies were arrested, tried, and acquitted. 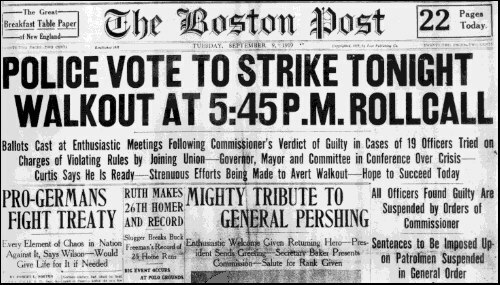 1,100 Boston Police Department officers go out on strike over union recognition, wages, and working conditions. Governor Calvin Coolidge called out the entire state militia and used his authority to fire everyone on strike, replacing almost the entire department with soldiers recently returned from World War I – at higher wages and with better working conditions. 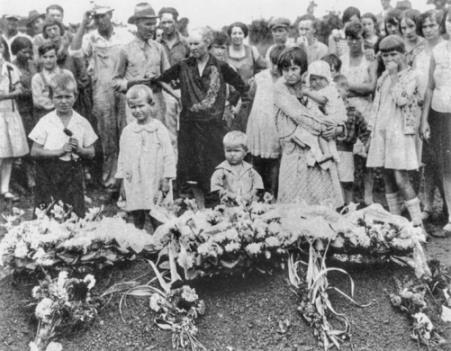 A massive fire in the only shaft of the Avondale Colliery in Plymouth Township, Pennsylvania, kills 110 anthracite mine workers, making it one of the largest mining disasters in Pennsylvania history. 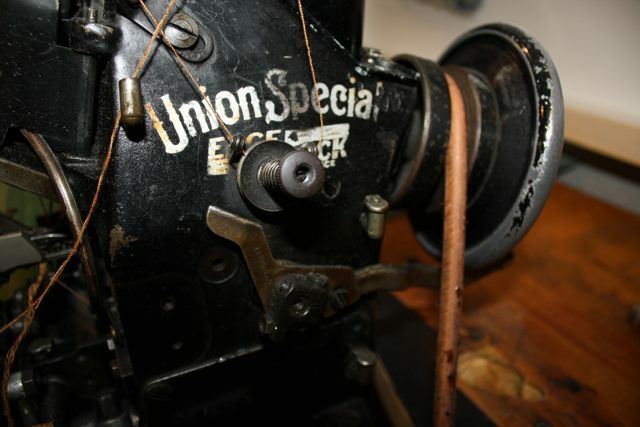 After the disaster, the state’s General Assembly enacted legislation establishing safety regulations for the industry, making Pennsylvania the first state to enact such legislation. The law also mandated that there must be at least two entrances to underground mines. 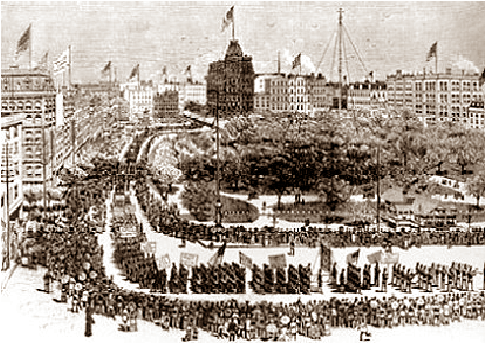 The first Labor Day is observed on this date in New York City, called for by the Central Labor Union of New York. In 1894, after sending in the Army and U.S. Marshals to break the Pullman Strike, President Grover Cleveland sought appeasement with organized labor. Legislation making Labor Day a national holiday was rushed through Congress unanimously and signed into law by Cleveland six days after the strike ended. 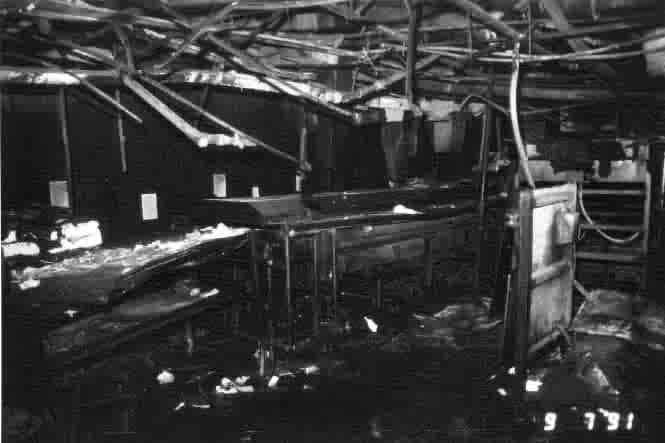 25 workers die and 54 are injured, unable to escape a fire at the Imperial Poultry processing plant in Hamlet, North Carolina. Managers had locked fire doors to prevent the theft of chicken nuggets. The plant had operated for 11 years without a single safety inspection and was ultimately fined $808,150 for safety violations.